Mathtacular3 takes the mystery out of more than 50 concepts from the top elementary math programs, including Horizons, Saxon and Singapore. 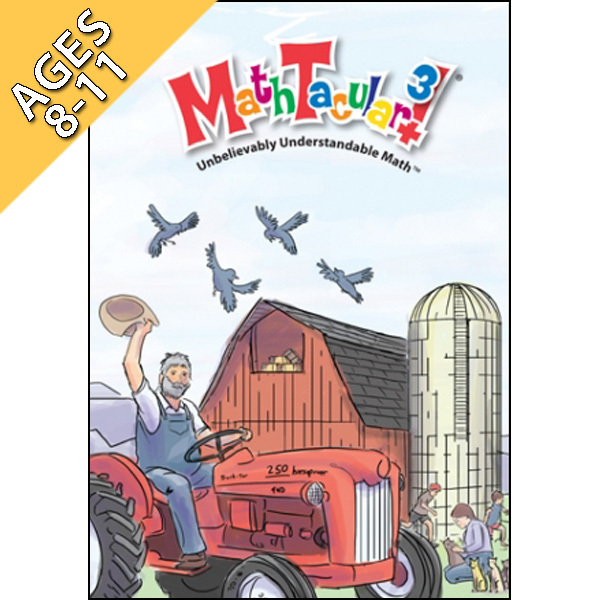 A wide range of students can all use the "Professor"'s tricks as Justin builds on concepts developed from Mathtacular 2. 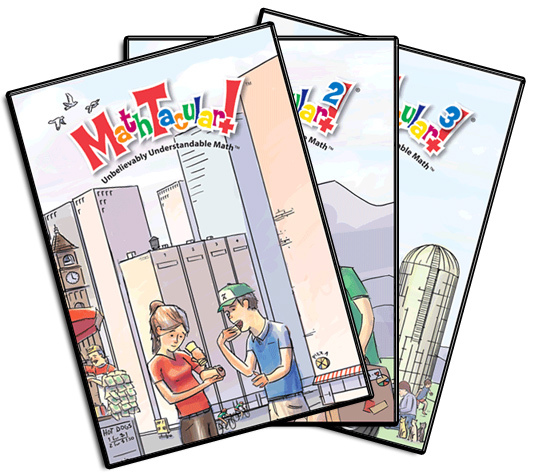 It's "onward and upward" as your students follow the gang into more advanced math. Don't be surprised if everyone gets so hooked that they gather around to watch Mathtacular 3 for hours! Buy now from BookShark, CBD, Rainbow Resource, or Sonlight. Cover the main concepts of elementary math (from Addition and Graphs through Fractions and Angles). 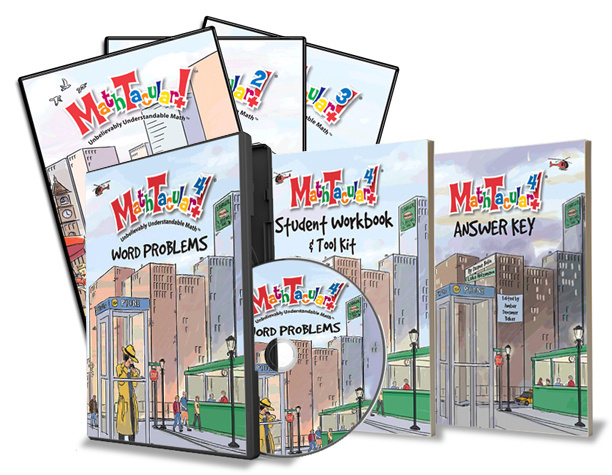 The MathTacular DVDs do much more than simply explain the ideas. Your children will witness math in the real world, which will help them see and understand the often abstract aspects of math. "MathTacular is fantastic! Professor Justin presents math in a way that's easy to understand and fun. Our children can't watch it enough–and we love that they are getting addicted to learning." –Lisa W.